CEDAR RAPIDS, IA – December 18, 2014, the Board of Directors of Orchestra Iowa today announces that it has appointed Terry Pitts, Emeritus Director of Cedar Rapid Museum of Art, as Orchestra Iowa’s interim chief executive officer beginning January 2, 2015. This appointment follows the resignation of CEO Robert Massey. Massey leaves Orchestra Iowa after a period of incredible growth to join the Jacksonville Symphony, Florida’s largest professional orchestra. A special committee of the board has already begun the search for a permanent CEO with the assistance of a leading executive search firm. On behalf of Orchestra Iowa’s board, Chairman Don Thompson said, “Like the athletic director of a university, we’ve had a short list of candidates for the Interim CEO position. Robert Massey is a rising star in our industry, and we knew the day would come when he would accept a new position to enable him to continue his personal development and career. Terry Pitts was the top name on this short list for a number of reasons. He has a proven track record as a CEO at a major local arts organization. He has worked in partnership with Orchestra Iowa on jointly sponsored functions. He is well-known and has earned the respect of the members of our board, the foundation board, our administrative staff, our supporters and patrons. He has the skills and personality to supply the rudder we need to stay on course while we conduct a national search for a new CEO. Terry Pitts joins Orchestra Iowa after less than a year of retirement from a successful 13-year run as Executive Director of the Cedar Rapids Museum of Art. Pitts joined the Cedar Rapids Museum of Art in 2000 after twenty-five years at the Center for Creative Photography, University of Arizona, where he had been Director. He currently serves as the President of the Board of Director of NewBo City Market in Cedar Rapids, Iowa and throughout the years, served on several grant panels for the National Endowment for the Arts. He also served a vital role in the Flood of 2008 with overseeing the Museum’s recovery process and providing gallery space for the flooded National Czech & Slovak Museum & Library and giving storage space for the art collections of the Cedar Rapids Community School District and the Cedar Rapids Public Library. As interim chief executive officer, Mr. Pitts will work with Orchestra Iowa’s administrative team to facilitate an orderly leadership transition while overseeing the organization’s day-to-day operations. Mr. Pitts will remain in place as interim CEO until Orchestra Iowa’s board of directors hires a permanent leader, which is estimated to take anywhere from four to six months. 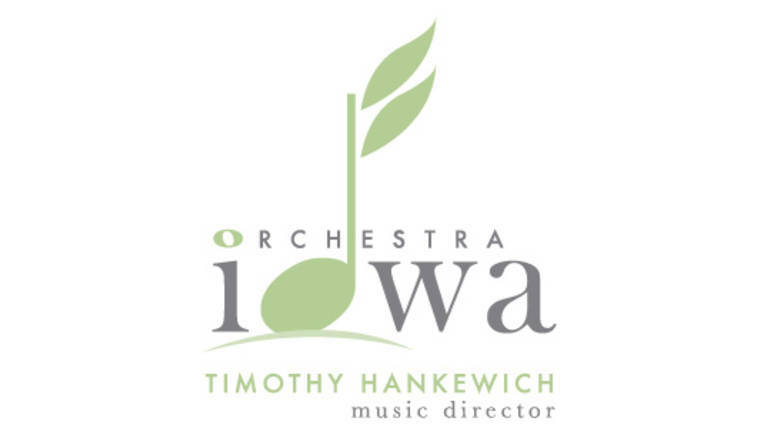 Orchestra Iowa is recognized as the state’s premier symphony orchestra, under the direction Timothy Hankewich, now in his ninth year as Music Director. Founded in 1921, the mission of Orchestra Iowa is “to foster enjoyment of and support for fine symphonic music through quality performances, education and community involvement.” Its 68 professional musicians perform more than 180 public performances throughout the year, many of which can be heard on Iowa Public Radio and seen on Iowa Public Television. Orchestra Iowa showcases its artistic excellence each season through an accomplished array of classical, ballet, opera, popular and chamber performances, in addition to extensive community education and involvement.